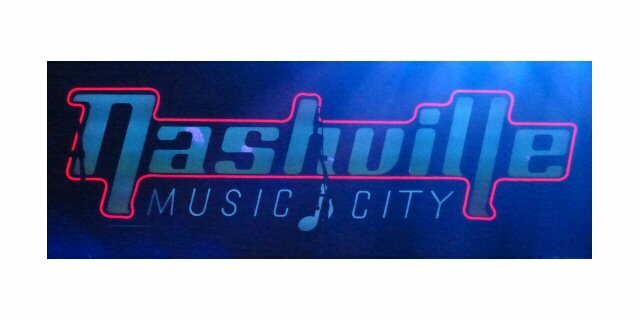 There was a unique sight to behold on Saturday, September 10, 2016 at the second annual Further Fest in Nashville, Tennessee when a predicted cloudburst and brief outpouring of a torrential rain shower had attendees and musicians seeking shelter inside a giant Monolithic Dome that served as a unique and sturdy backdrop for the sophomore incarnation of Music City’s newest celebration of music and arts. In a way the inclement weather served to make the point that this gathering is not your normal musical festival and proved the worthiness of the strong round building. This back to earth event is the brainchild of Charlie Tambellini – owner of Further Farms just north of the downtown. 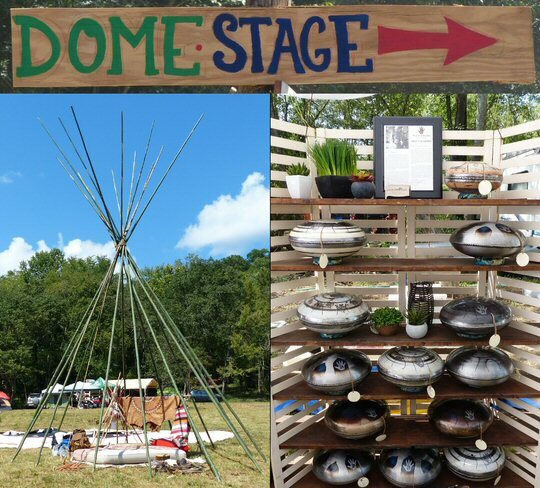 Charlie was inspired to create the festival after constructing the large 50 foot diameter Monolithic Dome on his property in the spring of 2015. The building served as a focal point and stage for the concerts. In and around the dome were fields for camping. Fans could also meander wooded paths to find other spots with more shade as they traversed to the additional Forest Stage. Monolithic Domes are round structures that are constructed using a tough, inflatable Airform, steel-reinforced concrete and a polyurethane foam insulation. The domes can be designed to fit any architectural need such as arenas, churches, homes and more. Further Farms is now actively advancing the concept of grow domes for raising sustainable food year-round on their property and beyond. 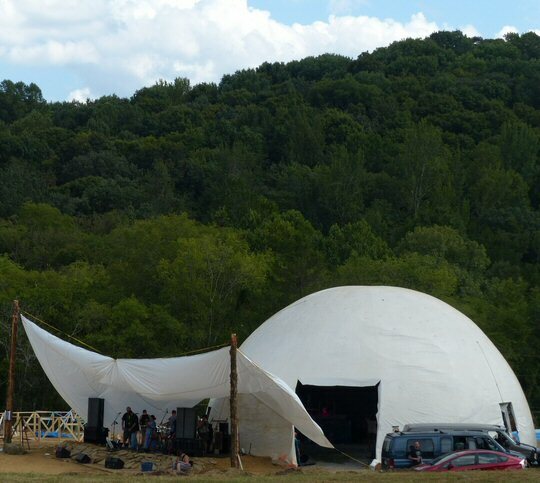 The Dome Stage was the focal point of Further Fest 2016. Monolithic Domes have the ability to survive tornadoes, hurricanes, earthquakes, most manmade disasters, fire, termites and rot. They are cost-efficient, earth-friendly, extremely durable and easily maintained. Most importantly, a Monolithic Dome uses about 50% less energy for heating and cooling than a same-size, conventionally constructed building. Sustainable building and recycled propane drums at Further Fest. Further Farms is operated by a relatively small but passionate group of people. Further Farms are known for their sauces and spices that are sold to local restaurants and retail outlets. 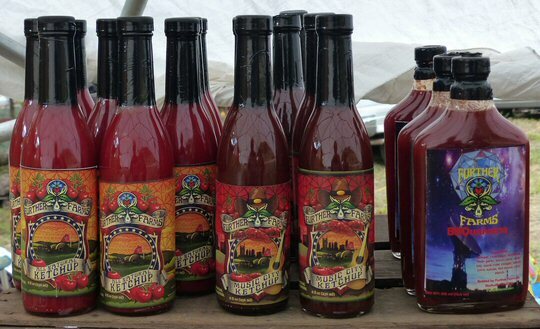 Further Farms also vends their hot line of products at the Capital District’s Farmers Market. In addition to their main line of commercial items Further Farms grows organic vegetables with no chemicals pollinated by bees whose hives reside on this farm in North Nashville. 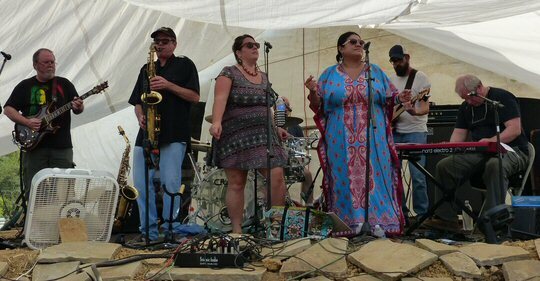 Further Fest featured three full days of musical offerings ranging from jam bands, acoustic players and electronic trance artists. Regi Wooten of the famous Nashville musical clan led the Saturday night Superjam following a set of his esoteric guitar stylings. The Jerry Garcia cover band Hooteroll? was on a roll building up a nice head of steam before the rain came to wash out their set. Further Farms is still best known for their tasty sauces and spices. 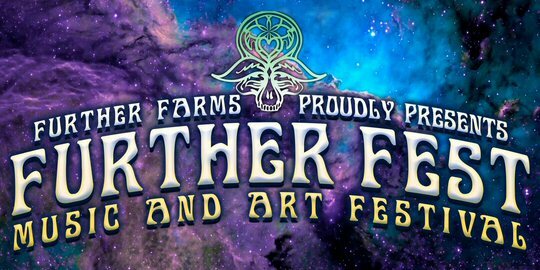 In addition to a large slate of musical acts and sustainable workshops there were artisans, coalitions and food vendors at Further Festival. Kami Couture was selling natural skincare products. Jonathan Rose created musical instruments with parts from recycled propane tanks. Baha Glass was also on location with a wide assortment of hand blown glass items. The tasty Two Goats was one of a number of local food trucks keeping the further family fed. Hooteroll? was on a roll before the rain came on Saturday. Further Fest also featured an educational component to help attendees reach a higher spiritual plane or just get back to nature. Representatives from the famous Tennessee commune The Farm were on hand to showcase sustainable building techniques. 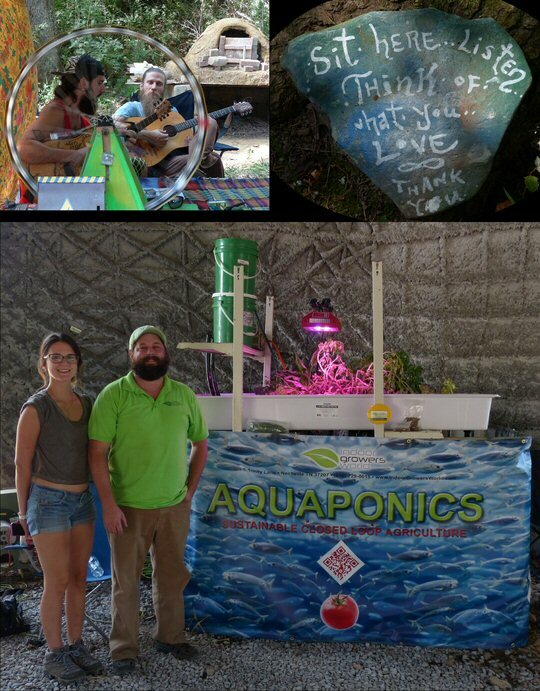 There were additional classes on yoga, interspecies communication, agroforestry and an aquaponics demonstration. Clearly, the founders of this fest are taking things a bit further than the standard concert model. This sustainable grass-roots three day festival was about building community, fun and music but it was also the proving ground to see how the farm could work as a space to be rented out to others who want to host similar festivals or retreats in a natural setting that is still close to Nashville proper. With two Further Fests now in the books Mr. Charlie and Company are well on their way to planting the seeds of a successful venture that promises to reap rewards further on down the road. Representatives from The Farm and Indoor Growers World were on site.